This is the next in a series of guest posts on criminal justice broadly speaking from Peter Wagner of the Prison Policy Initiative. 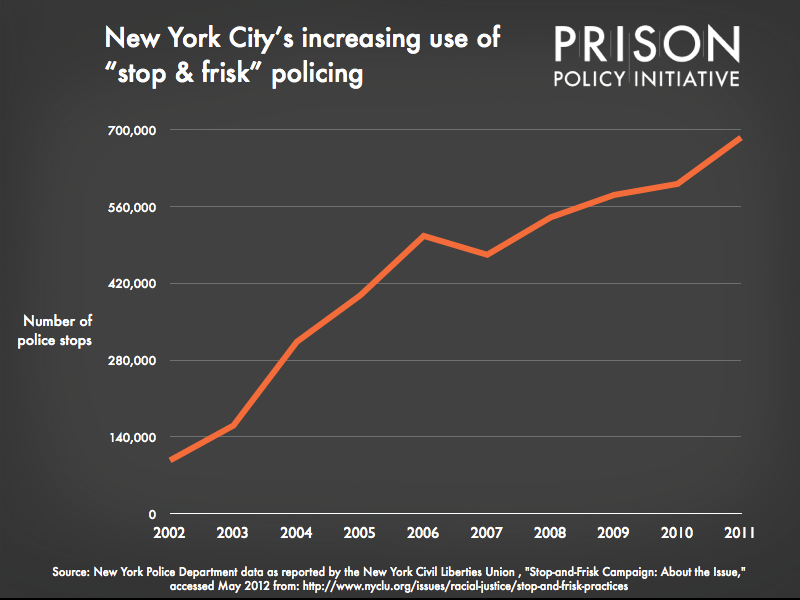 New York City’s “stop and frisk” policing strategy is getting a lot of attention. A police officer notes a “reasonable suspicion,” whatever that is, and then stops the person, asks some questions and then often frisks him or her. It’s not hard to see where allegations of racial profiling come from. It’s the subject of a class action lawsuit, and last week 20 people, including Cornel West, were convicted for a civil disobedience protest last year against stop and frisk.